PSI provides powerful marketing solutions to engage audiences travelling internationally. We’ve been taking a look at developments and emerging trends in global air travel in recent years and how they are giving rise to exciting new opportunities for advertisers to reach travellers as they move through their journeys. While the UK awaits the expansion of Heathrow Airport, other parts of the world are taking strides in developing their airport industries and creating new routes to previously untapped regions. China has one of the fastest-growing domestic flight markets in the world, with ambitions to overtake the U.S. as the largest air traffic market by 2034. We’ve seen huge investment ($11.7bn in 2016) in building, expanding and modernising the country’s airports, opening new opportunities to target an increasingly mobile, affluent audience. China was not the largest growth market for air travel last year though. India witnessed the largest passenger rise of any market in 2016, driven predominantly by domestic flights. The race to capture market share of India’s growing middle classes has seen many airlines dropping prices, with some even operating at a loss. This competitiveness, coupled with huge investment ($120 billion over the next decade) in airport infrastructure, will see India become one of the biggest passenger markets over the next five years. The lifting of sanctions in Tehran last year also opened up new trade channels and allowed Iran to take a step closer to becoming a new player in the global travel industry. With the world’s largest reserve of gas and oil, coupled with the government’s desire to modernise its air traffic infrastructure, we also expect it to gain a significant global footprint by the end of the decade. Iran Air, the country’s flagship carrier, has recently c0mpleted a deal with Boeing for 80 brand new aircraft, worth $16bn. As increasing numbers take to the skies, the flight experience has the potential to become more frustrating and inefficient, but in fact the availability of new technology and data streams is transforming air travel into a seamless, more personalised and connected experience – a new golden era for travel. 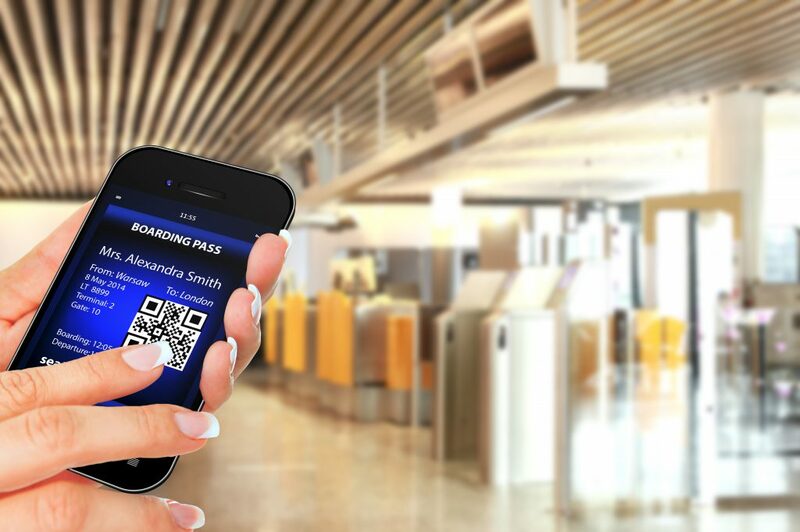 From mobile boarding cards to biometric passports, we are already experiencing a more personalised flight experience. The success of online check-in has served as a positive precursor to digitisation, removing some of the waiting time associated with air travel and handing more control to the passenger. Greater technology and use of connected data means experiences such as passenger security and baggage handling are becoming far more streamlined. British Airways has recently launched its “AirPortr + Bag Check-In” service. This allows travellers to get their baggage collected from a pre-determined location, security scanned and checked straight into the baggage handling system using AirPortr’s proprietary app. Using radio frequencies on security tags, users can then track their luggage online, receive email or SMS updates, and have the luggage delivered direct to their hotel room. New faster security screening technology is also starting to appear in airports, with 3D scanners already in use at two European airports and across the US, automatically identifying possible threats and illegal substances and reducing the need for staff to manually check luggage or passengers. A team of engineers at Northeastern University in Boston are currently working to create security walkways filled with high-capacity sensors capable of screening multiple travellers at any one time, detecting potential threats, whilst avoiding the need to stop and search. The rise in these types of technology is opening up access to further passenger data, both statistical and behavioural. This data, and the willingness to share it, is of huge benefit to the aviation industry, providing further opportunities to personalise and ease the customer experience, on the ground and on-board. From an advertising perspective we are already reaping the benefits of this evolution, as seen by the increasing prevalence of dynamic advertising campaigns plugging into real time passenger data feeds. Using dynamic delivery technology we can already target audiences in a specific place at a certain time, but with increased access to passenger, airport and flight data, we can begin to personalise messaging even further, for example targeting specific flight arrivals in their native language, with product or service information tailored specifically to them. On-board connectivity has already begun to roll out and will be commonplace by 2025. A new report released this January by Routehappy has revealed that more than 70 airlines already offer in-flight Wi-Fi in most regions, with 11 of these new to the scene in the last 12 months alone. However the report does highlight that quality is still relatively low, with more than a third of current services only offering basic browsing capabilities. While scaled, high quality Wi-Fi provision still has some way to go, airlines and airports are using technology in other ways to deliver in-flight entertainment. For example, Heathrow Airport’s ‘EntertainMe’ screens, currently on trial at T5, enable passengers to select content such as EBooks, Movies, Music and download it onto their iPhone or iPad to enjoy during the in-flight stage of their journey. Many airlines are also offering Netflix-style platforms / dashboards where users can access and stream their own content. Virgin and Jet Blue have already partnered with Netflix and Amazon Prime respectively. We also are seeing airlines beginning to leverage the growing connectivity of devices and everyday objects, combining technology from a passenger’s seat with data from their biometric information and personal devices to truly personalise the inflight experience. Seat sensors will be able to alert cabin crew to individual passenger responses to the flight, such as anxiety, hydration or temperature, for example, and enable staff to offer specific support or change the cabin environment to provide more comfort. In the future, wearable and holographic tech will become commonplace. Qantas has already introduced an in-flight virtual reality experience, in partnership with Samsung Electronics. The VR headset gives passengers an immersive entertainment experience, and collects and transmits data about passengers, enabling the airline offer increasingly more personalised and relevant content on future flights. It’s easy to see how this could develop further with airlines providing VR travel guides to destinations, VR ‘try before you buy’ on-board retail experiences, or VR gaming opportunities. Technology and data are giving rise to new personalised and connected travel experiences, with increasing media and brand partnership opportunities for marketers to become a relevant and useful presence, seamlessly integrated into passenger journeys. We are excited to be at the forefront of innovation in this space, pushing boundaries and bringing new touchpoint opportunities to the forefront. We hope you’ll join us on the exciting journey to come.